In 1978, British Engineer Roger Manning, developed the ‘wet Process shotcrete spraying system‘. His aim was to achieve high quality concrete placement that would compete with traditional shuttered concrete on price and strength, but give designers and contractors a greater versatility in concept and construction method. In early days, credibility was difficult to establish, but today Shotcrete Services has an enviable track record, both in the UK and overseas. After graduating from University in 1993, Roger’s son, Stuart, joined the company and became Managing Director in 1999. Stuart has previously been the Chairman of the Sprayed Concrete Association and continues to promote sprayed concrete within the industry. Click here for an Introduction to Sprayed Concrete. 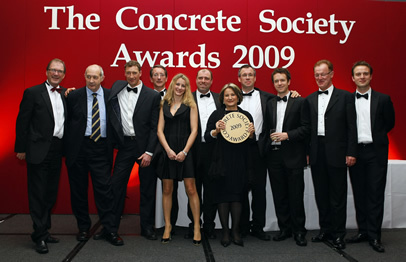 The company has won the Concrete Society Overall Merit Award in 2004 for the Selfridges Building in Birmingham and again in 2009 for the Darwin Cocoon, housed within the Natural History Museum extension. 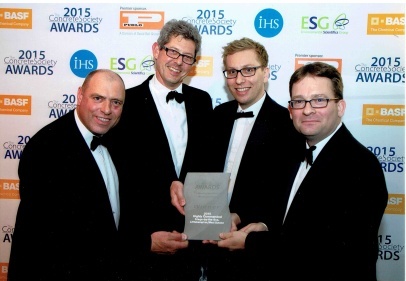 Recently, in 2015, we were awarded with a "Highly Commended" award from the Concrete Society for the Stage-By-The-Sea in Littlehampton. Please email or call us for advice and further information.